Writing the future before the present. waar luchtbed kopen I can’t watch this happen again, when our feet have only just touched the clouds. Each book I write is a novel about the might never be, and one day in the future I wrote a book about every moment we had together. It was called “The Life That Always Was” and there was laughter on every third page. The chapters all started with major milestones in life, such as the time we met, the moments in the kitchen and taking walks on autumn afternoons, and the time that you stood beside me as we watched the world end around us (in a good way). metropolis fritz lang moroder link Each song that we danced to had a story, and some of the stories were painful, some joyful. All were worth telling, as the stories of families are always worth telling…even if only to ourselves. tatt opp lån i andres navn I whispered “please come home” and there you were. http://mostlazy.life/2018/08 den hellige alliansen Who knew it was so simple? http://alwaysmore.life jack laurent amar Strong work, Sho. infrastrukturprojekte arge estw link OMG. 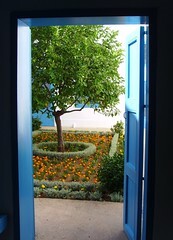 This image of the lemon tree upon entering the Pilgrimage House at Bahji was my most memorable fragrant moment in Israel. The fresh lemon aroma comes back every time I see a shot like this.